How to protect the copyright of an idea? Our idea of copyright deposit arises from the need of Tiziano, musician and IT developer, to protect his music from plagiarism. Tiziano starts to study this problem. He understands that copyright begins when the work is created. The struggle is proving the date of birth. Confident in his IT skills, he looks for technological solutions that create an immediate birth certificate at affordable costs. He already knows about that people often use registered letter but it that takes a lot of time. He also knows about deposits in SIAE and notaries, but they are too expensive solutions. In 2013 Tiziano takes part to Innovation Lab with a team created on purpose and began to shape the project. So Proofy was born from “Proof”, to provide creatives a proof of their copyright through an assured date with legal validity. Tiziano’s work does not stop here; he challenges his experience in IT security. Thanks to a mathematical model of Stanford University he creates an application to verify data integrity. It’s a system based on the Hash chain (like a digital footprint for files). To make it simple, we can say it works like a blockchain. Tiziano realizes that his technical skills alone are not enough, so he decides to contact Paola, lawyer, that he has seen short time before at a dinner with old school friends. He asks her to help him in the legal analysis of the project. After listening to Tiziano’s idea, she sees its potential and she realises they need economic skills too. So she thinks of Valentina, graduated in Business, who has worked with her a couple years before. Valentina in the project sees a huge opportunity for all the knowledge workers, so for people who build their future on what they know. Ideas and knowledge seem to be abstractions, but nowadays they are the source of many job positions. The basic idea of the project is great and the data integrity feature is an added value. Paola proposes as a condition for her collaboration in the project: Valentina will have to be part of the team. 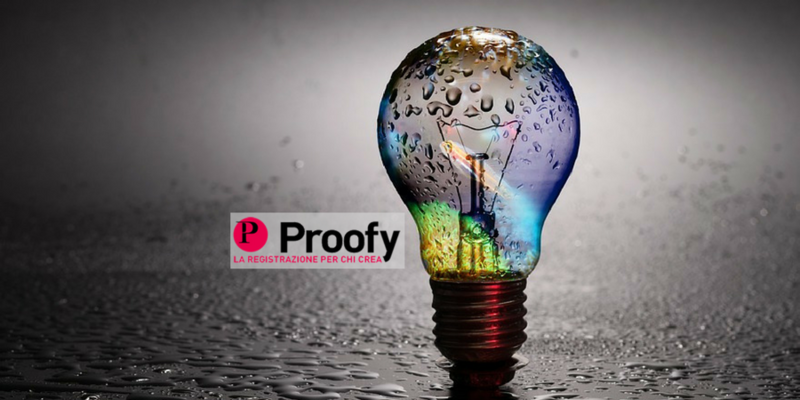 Tiziano, enthusiastic, accepts the condition and so the group of Proofy’s founders is formed! Hard work starts to shape the project in the best way possible and to verify the legal strengths of the solution. A few months after the first award comes: Proofy wins the European call CreatiFi. Thanks to this award the society is set up and the development of the project speeds up. The following months are busy, with the issue of a first version and then the Beta version, tested by a dozen users. We collected their impressions and reviews, and we improved more and more, until our first official version. Thousands of artworks have already been deposited on Proofy and their creators know they have works and certificates with a safe storage. They can also prove they have registered the works on Proofy thanks to the link of the deposit page. Thanks to the qualiry of our work, this year we have been awarded by the European Commission with the Seal of Excellence in the category “Open Disruptive Innovation”. In addition, several headlines wrote about us, such as Corriere della Sera that defined us as “The copyright strongbox” and Il Fotografo. You can also watch Valentina’s interview on the platform TIM open..
We are very proud of what we have achieved so far and we will keep on working to always be up-to-date and to grow, responding to your needs. We as Proofy believe in values such as reliability, transparency and professionalism. Proofy makes digital works registration easier and makes serial registration possible for those who constantly create new works contents. Would you like to know more? Visit our service page or read the FAQ.